Treat your family and friends to a custom centerpiece or decorated wreath from Island Home and Garden! 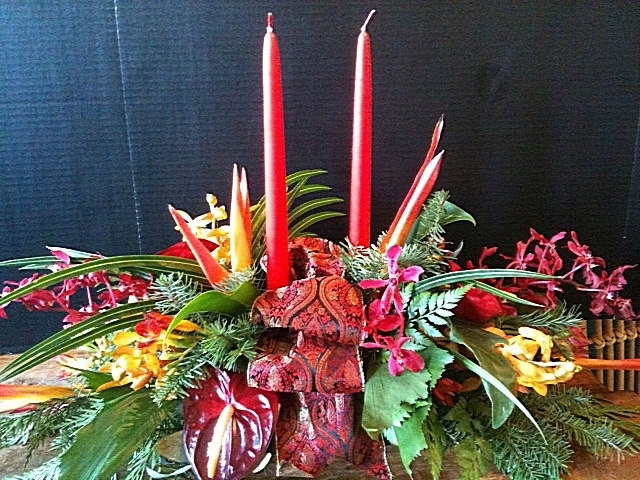 Robyn will be creating arrangements similar to those for Thanksgiving, using candles, beautiful decorative ribbons and holiday ornaments. 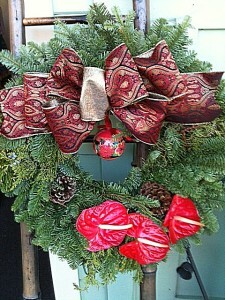 There are also fresh wreaths to choose from, which can be customized with ribbon, fresh flowers and other embellishments! 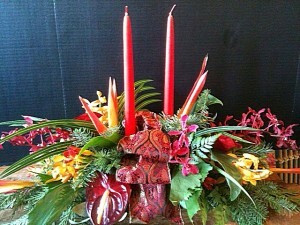 Come and visit the island, which is a bright and tropical paradise full of gift ideas and fresh flowers from Hawaii!